!! OMG, FIRST LOOK: Here’s Tyra Banks reprising her iconic role as living-doll Eve in ‘LIFE SIZE 2’ !! We wish that was the real poster above, but the real sequel looks ALMOST as camp to be honest. 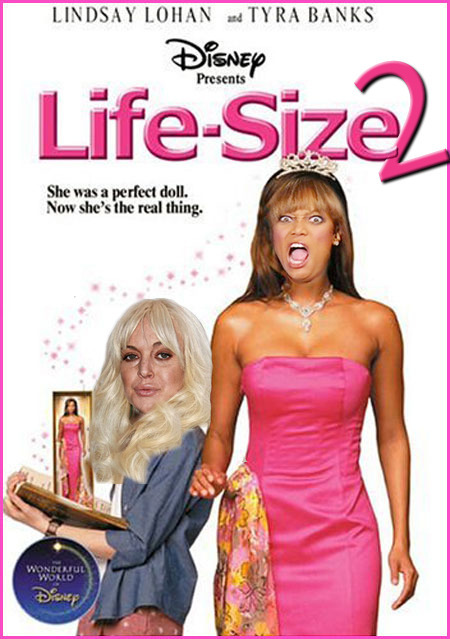 Check out two teaser clips after the jump of LIFE SIZE 2 starring Ty Ty (sans Lohan sadly). CLICK TO ENLARGE! Buy the original Life Size on Amazon. Be the first to comment on "OMG, FIRST LOOK: Here’s Tyra Banks reprising her iconic role as living-doll Eve in ‘LIFE SIZE 2’"